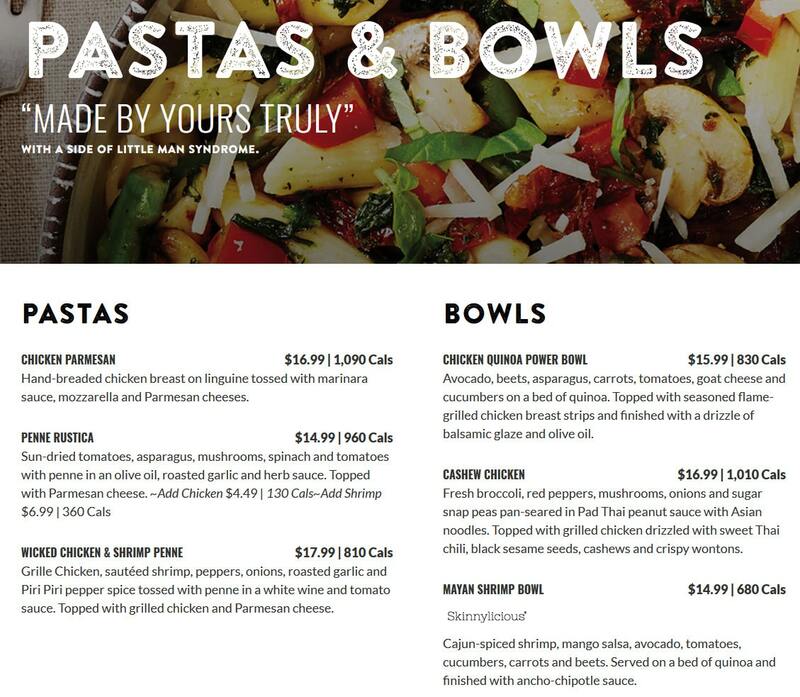 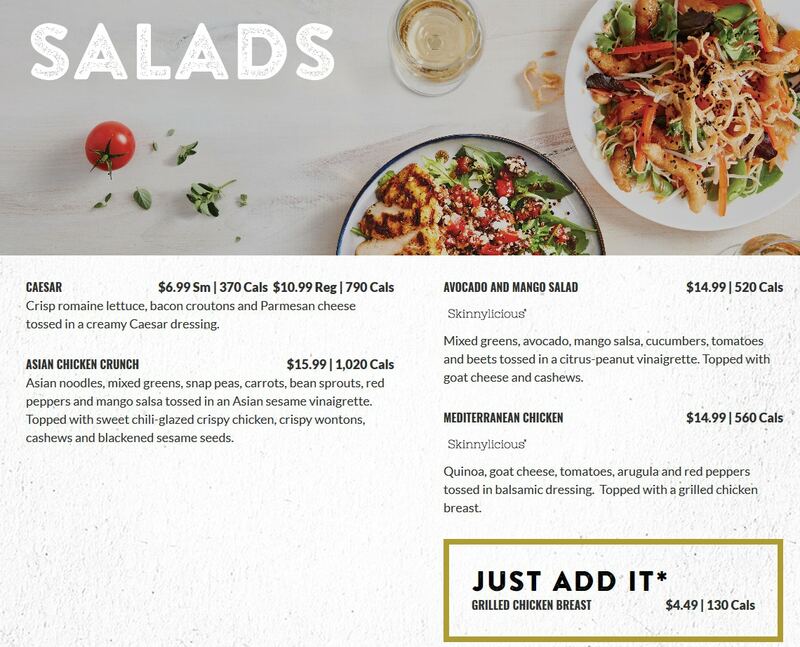 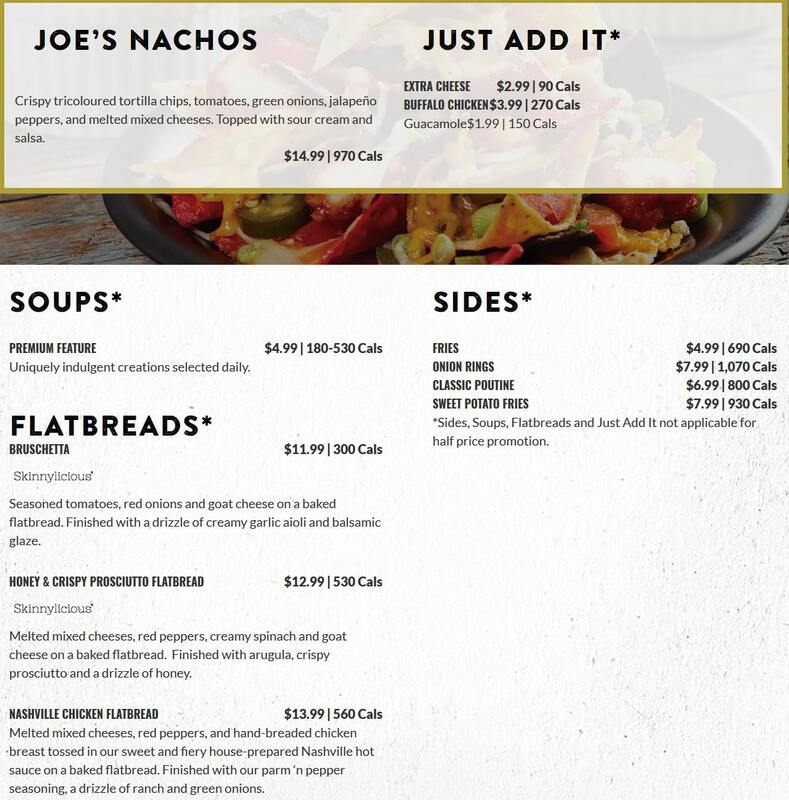 Find Crabby Joe’s Canada Menu for 2019, and Lunch Nutrition Facts & Calories. 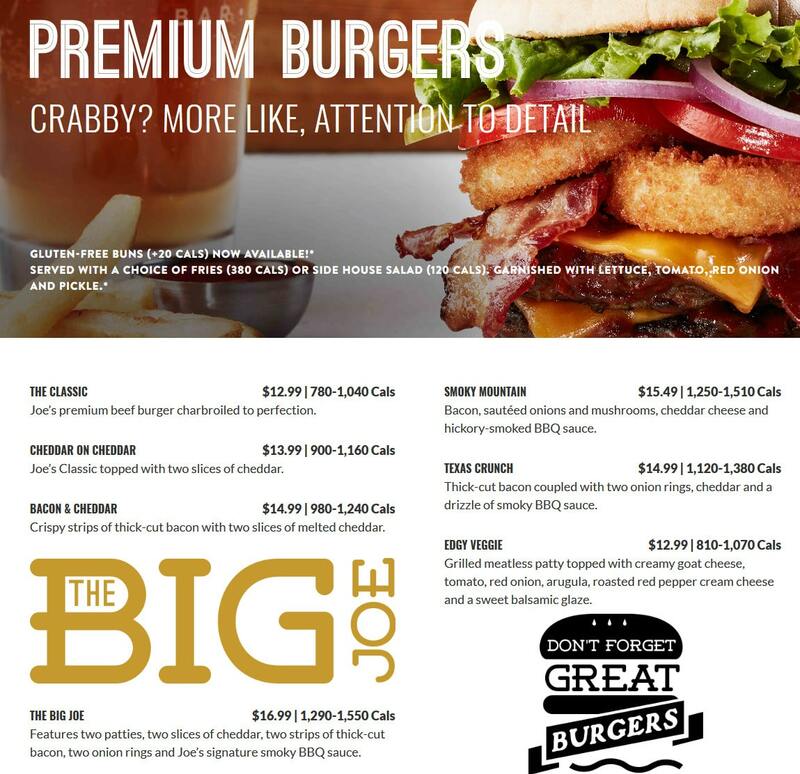 Don’t miss the Crabby Joe’s Restaurant specials, Premium Burgers and Steaks offers, promotions & discounts. 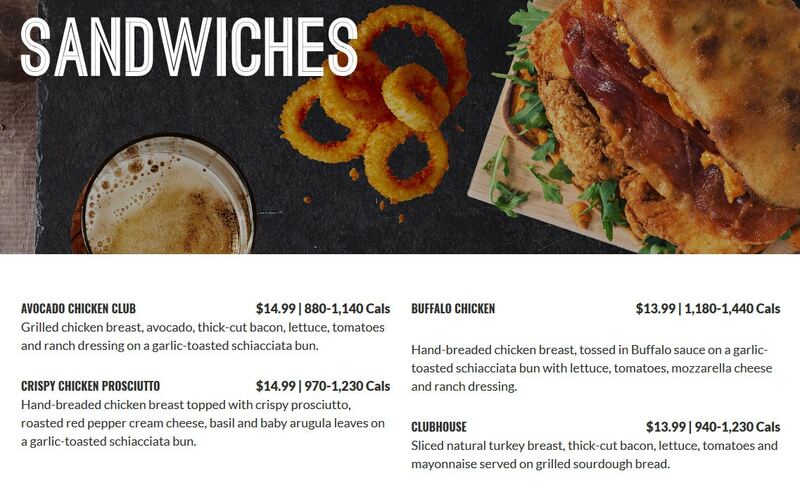 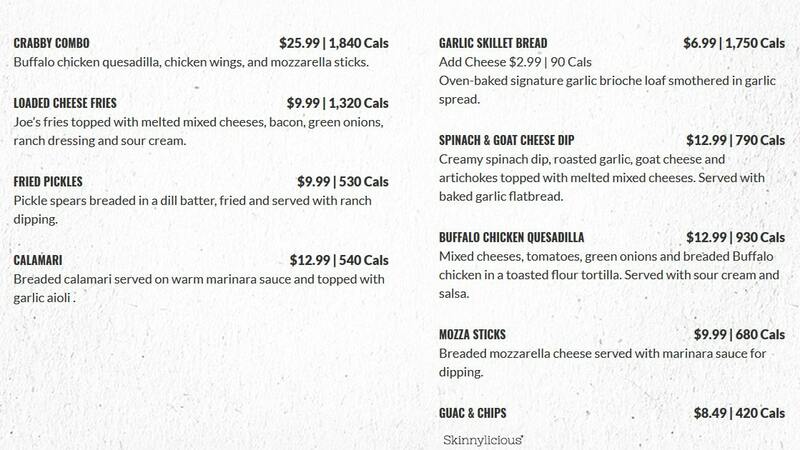 – $0.69 Wings Tuesdays – $0.69 each Chicken Wings – 100 Calories, and $0.99 each Chicken Fingers – 110 Calories. 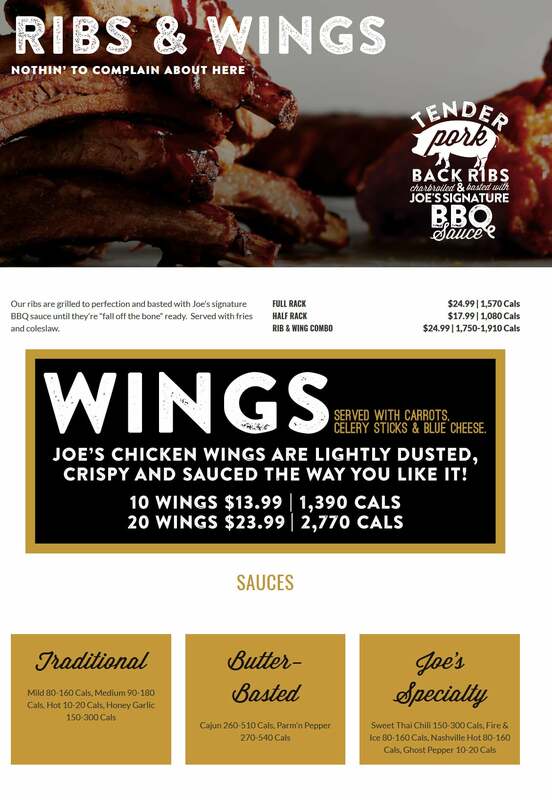 – Half Price Appetizers everyday after 9PM, with the purchase of a beverage – Joe’s Nachos with Buffalo Chicken 1240 Cals. 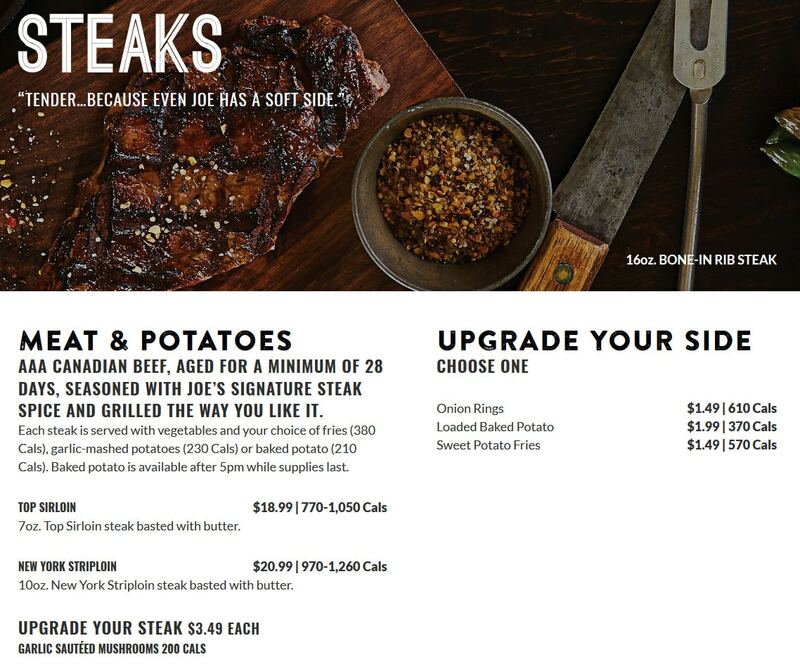 – VIP Rewards – Receive a Free Appetizer when you sign up. 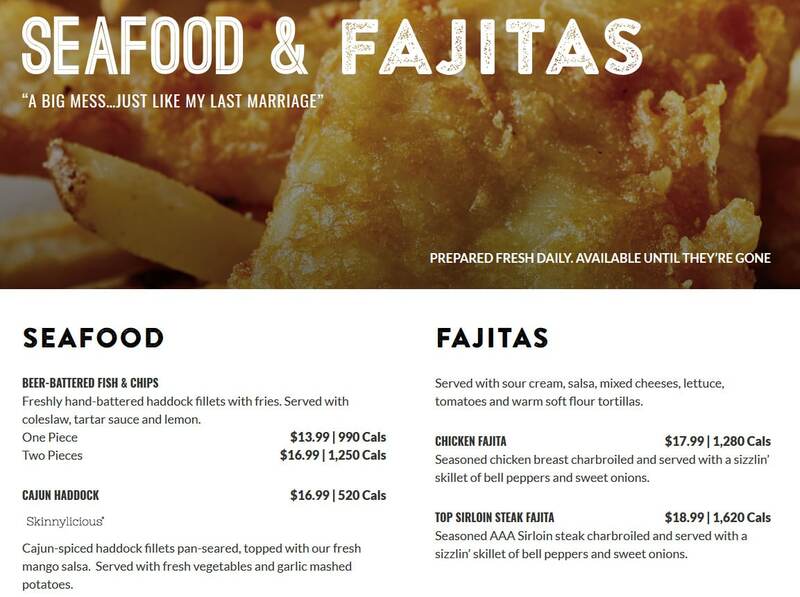 The menu includes starters, soups, fresh salads, sandwiches, wraps, premium burgers, pastas, wings, ribs, steaks, seafood, fajitas.